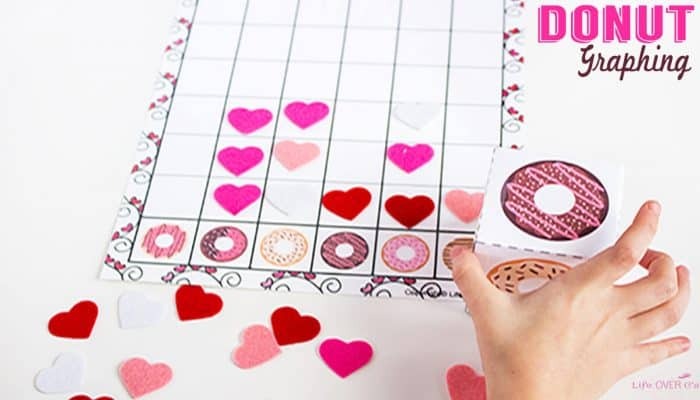 These sweet donuts make math so much fun! I wondered if my daughter was ready to move past graphing, but I guess not since when I asked what she wanted to do for math it was her first request! She even selected the donut clipart. She had a craving, I suppose… Since we really try to be interest-led, I let her run with it. 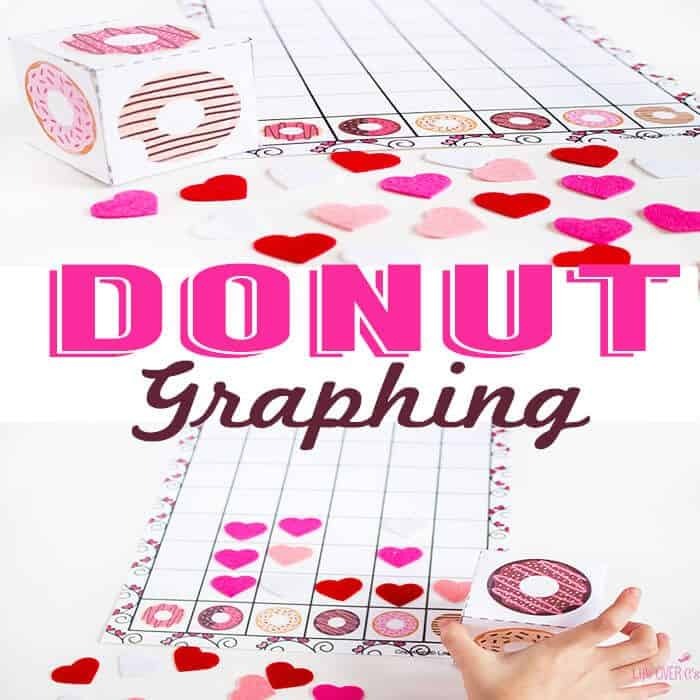 This donut graphing free printable is part of our themed graphing activities and I hope that you can find a theme that you enjoy! Another suggestion is to build a lightweight block using building bricks to fill the inside of the cube for easier rolling. 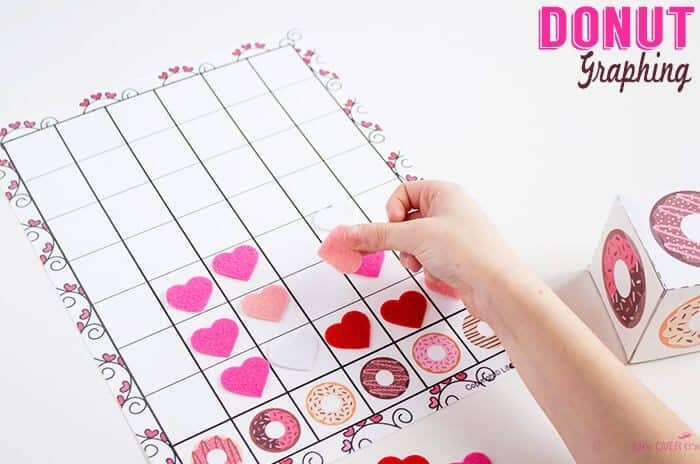 After one of the donuts has reached the top of the graph, have your child record the data in a notebook or on a piece of paper. You can do the activity several times, like we did with the coin toss, to see if you get different results. You can then discuss with your child why the results changed. This is a good introduction to probability. 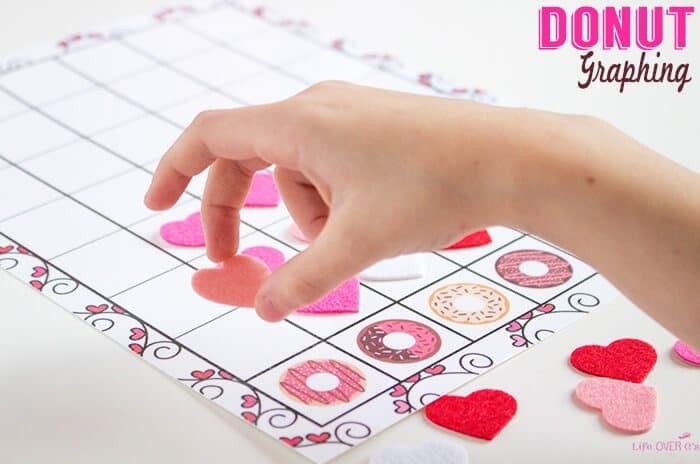 If you are working with a preschooler, you can count the number of times each donut was rolled. Then compare the numbers using the graph to show which numbers are greater or less. Practice addition by selecting the results of two columns and adding them together. Or practice subtraction by subtracting a column with less rolls to find the difference.